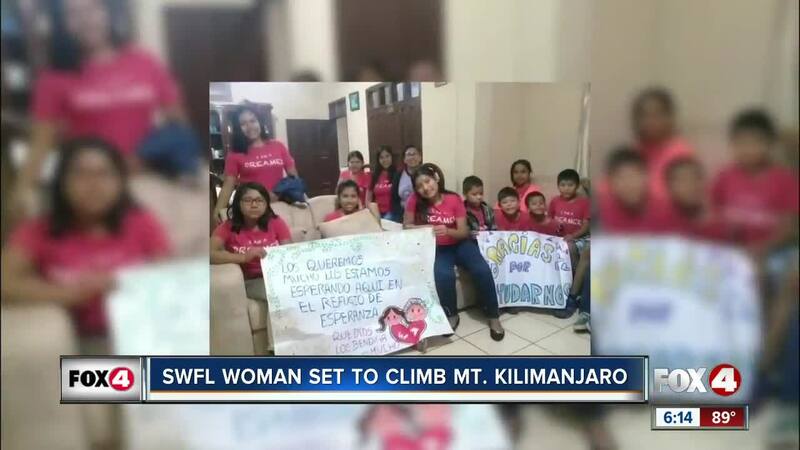 Alice Skaff, the founder of Haven of Hope International, trains to climb Mount Kilimanjaro in October as a way to bring awareness and raise money for orphanages around the world. Alice Skaff, the founder of Haven of Hope International , trains to climb Mount Kilimanjaro in October as a way to bring awareness and raise money for orphanages around the world. Mount Kilimanjaro is the tallest mountain in Africa, standing at 19,341 feet. Haven of Hope is a Southwest Florida based nonprofit that's mission is to provide an environment for children internationally rescued from poverty, abuse and abandonment. Their goal is to support orphanages on the ground to give children a home that provides physical, spiritual and emotional growth. For more details on the climb or to get involved, click here .